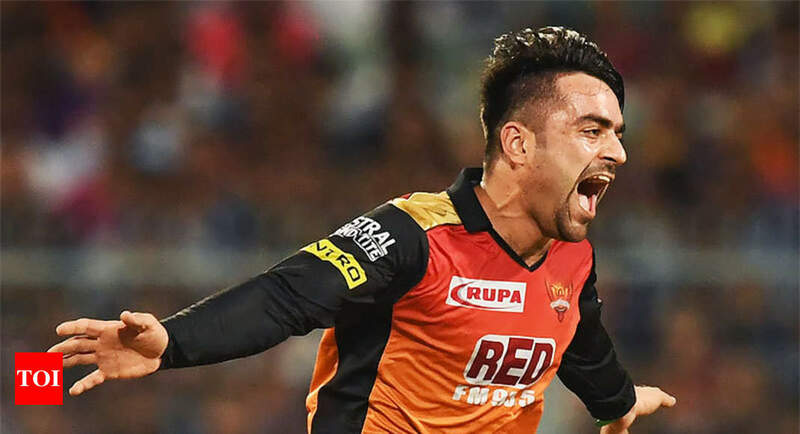 MUMBAI: Afghan spin sensation Rashid Khan saw cricket fans in India pleading for him to be awarded citizenship after the 19-year-old single-handedly carried Sunrisers Hyderabad into Sunday’s Indian Premier League final. Rashid smashed an unbeaten 34 off 10 balls to lift Hyderabad’s innings to 174 for seven before leaving the Kolkata Knight Riders spellbound with his fast leg-spinners, claiming three for 19 in his four overs. “Afghans take absolute pride in our hero, Rashid Khan,” he said on Twitter tagging Indian Prime Minister Narendra Modi. Hyderabad paid 40 million rupees ($590,580) at last year’s auction to land the leg-spinner from Afghanistan, where cricket is highly popular but sporting facilities are pitifully inadequate after decades of war. An intense bidding war erupted for his services in the auction this year before Hyderabad exercised their right-to-match option for a staggering 90 million rupees ($1.33 million).